Do you want to help students put a little more zing into their college experience? Would you like to help them uncover strategies for winning college money even after they’ve enrolled? Curious about common pitfalls most students encounter and how to avoid them? If you answered yes to any of these questions, then this session is for your audience! Attendees of this presentation will learn how to find more scholarships and awards to shrink the tuition bill, invest on shoestring budget, understand and avoid the credit crunch, tame their credit card and student loan balances, and secure high‐powered internships, co‐ops, and summer jobs. Engage Marianne as your next speaker for college students and get this exciting session will help your students can learn how to pack their college years with experiences that can lead to graduate and professional schools clamoring to admit them, employers offering multiple job opportunities, and a whole lot of fun and satisfaction! Conducted by a $400,000 scholarship winner and 1st generation college graduate, this session will include several handouts and interactive discussion. Whether your audience is composed of current high school students planning to attend college, interested parents who wants to make the most of the college investment, individuals who advise youth, or students already enrolled in college, they’ll find information they can use in this presentation from Marianne Ragins, motivational speaker for college students. Student loan balances have been increasing exponentially for years. 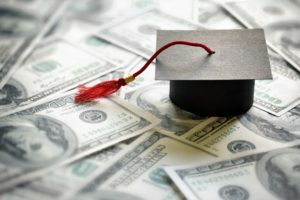 This could be attributed to the rising cost of college, the ease of getting a student loan, or the fact that many don’t realize there are scholarships available to current college students. One unfortunate result of this is that students who begin college for the first year often don’t return the second year due to the cost of their continued education. This session will provide attendees with strategies for finding ways to fund their college education without substantially increasing their loan balances. Best practices will also be discussed for selecting majors, learning the future earnings outlook for a career path, and handling the resulting loan balances associated with a particular major without additional funding. Current college students will learn strategies to help find and win scholarships for their education. 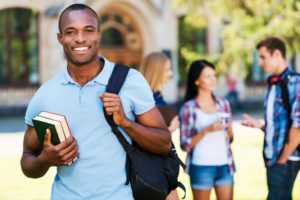 Moreover, high school seniors who may not have a full ride scholarship when they start college will learn ways to maximize their scholarship chances when they become a college undergraduate. Information will also be provided for helping students effectively use the Internet and social media in their scholarship quest. Marianne will use her experiences and those of others she has helped to motivate and galvanize your audiences to achieve success in every aspect of their education or career. A keynote can also be customized to the specific needs of your audience. Do you have students who need to write an essay for a college or scholarship application? If you have students who are just getting started or they don’t know how to get started and need some motivation and direction for writing a scholarship or college essay, Marianne can present the helpful and interactive Scholarship and College Essay Writing Boot Camp to your college student group. This session is designed to help those who hate writing get beyond the blank page and complete a good essay. It will also help those who enjoy writing, learn how to make their essay shine for scholarship and college committees. Contact us today to schedule a presentation!